Integrated Appliances: Perhaps the appliance trend with the most power behind it is using integrated appliances. The new face of a luxurious kitchen includes appliances that are smaller and seamless – the idea is to no longer have people walk into a kitchen and see appliances sticking out everywhere. Induction cooktops are some of the most popular integrated appliances today, for example. Auto-On Appliances: Appliances that turn on automatically were once an idea for “the future” – but the future has now arrived! For example, there are now kitchen hoods that are slim and beautiful that turn on by themselves when they sense an increase in temperature from cooking; they’re also stronger than many of the large, bulky, industrial ones from the past. 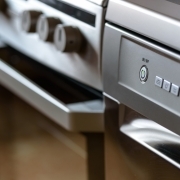 Digital Appliance Technology: While stove clocks and microwaves have used digital technology in limited capacity for a while now, the trend for 2019 appliances is to drive innovation and convenience in the kitchen like never before. We’re talking about things like restaurant-quality single-pour wine reservation systems and more! Wi-Fi Appliance Connections: It seems almost everything else can be controlled via a Wi-Fi connection these days, so why not appliances? If you’ve always dreamed of pushing a button on a Wi-Fi-enabled coffee maker before you even get out of bed, or you’ve ever been away from home and needed to turn down the oven temp from your phone, there are appliances today that will be happy to oblige. 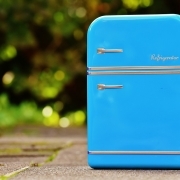 Under-the-Counter Appliances: This trend is one of the “not really new but more revived” type of trend, but this year it’s taking on a whole new following. The attractiveness of using this type of appliance is to minimize upper cabinets and maximize available counter space. 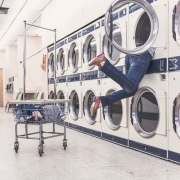 While there will always be new and exciting trends and innovations each year when it comes to appliances, 2019 is already proving to be one of the best years for it. 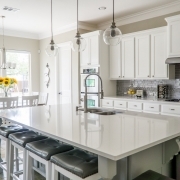 From new finishes like black stainless steel and matte black steel to the popularity of column refrigeration and ovens with French doors, the market is filling up with unique appliance trends that are nothing short of fabulous! 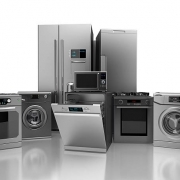 No matter which appliance trend you choose, count on the top appliance repair San Rafael for all your appliance maintenance and repair needs!